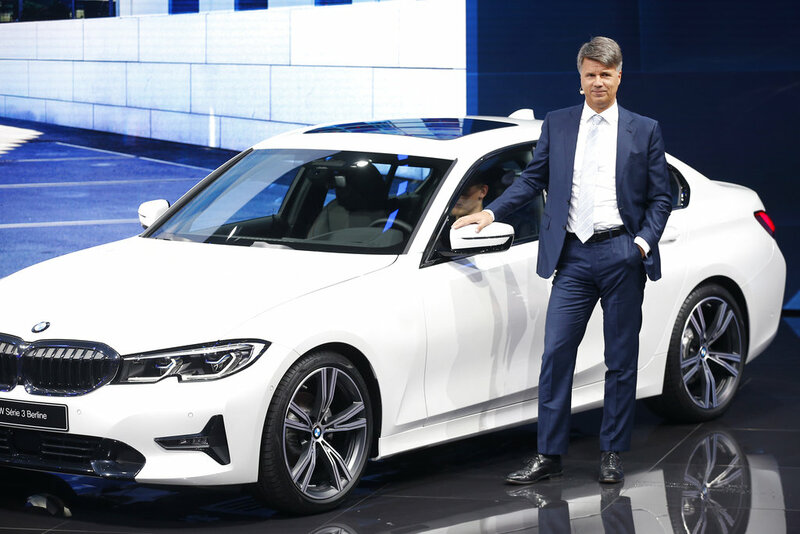 Harald Krüger, the Chairman of the board of management for BMW, stands in front of one of their vehicles. Germany luxury automaker BMW said Wednesday that its net profit fell 24 percent in the third quarter as the company spent more on new technology and faced market disruptions due to other companies failing to get vehicles certified in time for new European Union emissions tests. Net profit fell to 1.40 billion euros ($1.6 billion) from 1.84 billion euros in the year-ago quarter. The figure was short of the 1.61 billion euros foreseen by analysts surveyed by financial information provider FactSet. Revenues rose 4.7 percent to 24.74 billion euros. The Munich-based automaker said it was increasing its investment in the new technologies such as autonomous and electric cars that are expected to transform the industry in coming years. Research and development expenses in the first nine months of the year rose by 400 million euros to 3.8 billion, and are due to total 7 percent of sales for the year. BMW managed to get its cars certified under tougher new emissions tests but Daimler and Volkswagen both had to sell off uncertified vehicles ahead of the Sept. 1 deadline, leading to pressure on prices. The company also faced headwinds from warranty actions and trade tensions. It had 679 million euros in charges for recalls and service actions, dominated by the recall of 1.6 million vehicles in Europe and Asia to fix an emissions control component that can cause the vehicle to catch fire. New Chinese import taxes on cars, imposed in retaliation to new U.S. tariffs on Chinese goods, also hit BMW because it makes cars in the U.S. and exports them to China. The company's single largest plant is in Spartanburg, South Carolina. BMW said the tariff conflict had undermined consumer confidence. 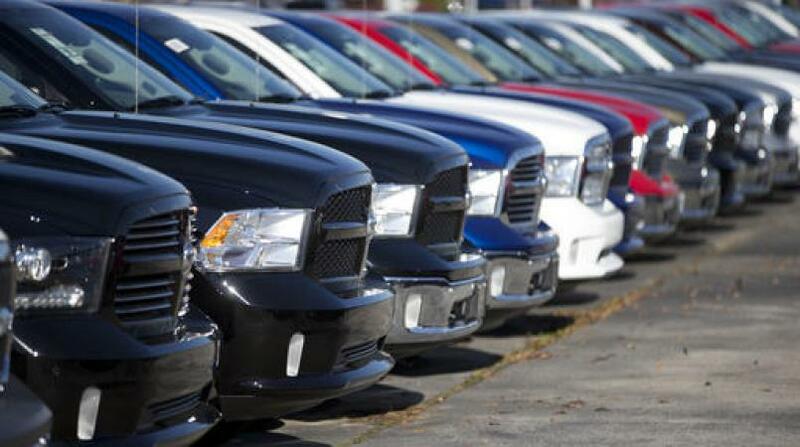 The profit margin on sales, a key earnings metric, fell sharply to 4.4 percent from 8.6 percent for the automotive business. BMW also makes motorcycles and has a financial services business. "Our forward-looking approach has absolute priority," said CEO Harald Krueger, as the company spends to expand in electric vehicles and autonomous driving as well as offering transportation as a service that doesn't involve owning a car. The company has agreed to form a joint venture with Daimler combining the two companies' efforts in smartphone apps for taxis, parking locator services and car sharing. 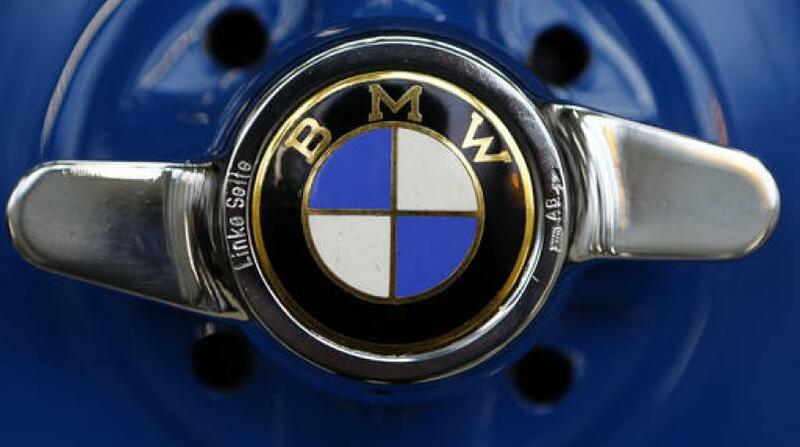 BMW shares traded down 1.7 percent at 75.80 euros in morning trading in Europe.